The category 1 hurricane Florence 2018 has made landfall near the Wrightsville beach in North Carolina with winds around 90 mph. This force of nature brings with itself rains, high-speed winds and a widespread destruction of property and poses a great danger to life and limbs. The general populace is advised to follow precautionary measures to safeguard themselves as much as possible from the oncoming hurricane. 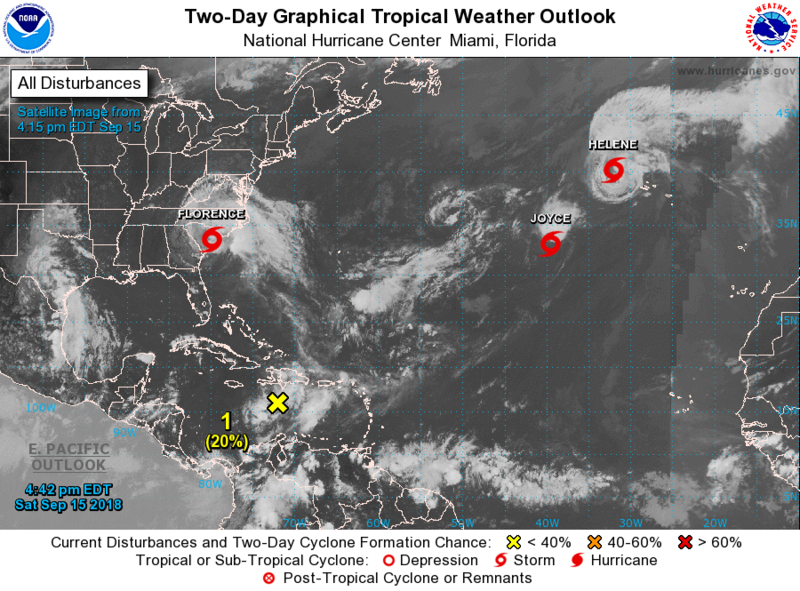 The National Hurricane Centre, which is the national hurricane tracker and watcher, has stipulated the Florence path to be around Charleston, South Carolina, and even Cape Hatteras and is therefore set to affect a large area with dense population. The hurricane can get dangerous with time and as such we have compiled a list of instructions to help you prepare for the hurricane 2018 and stay safe. Ensure that you have a place you go to when the hurricane hits. If you have a shelter built in your home make sure to stock up sufficient medical and food supplies to last you through the duration of the storm along with a portable generator to meet any electricity needs. If you’re planning to leave the region to visit a relative to avoid the storm leave as soon as you can. Even though the counties have their hurricane shelters, they can be chaotic, to say the least. Make your house as durable as possible. Those impact resistant windows, shutters and reinforced doors and walls can be expensive but still cheaper than having to rebuild the house altogether. Make sure that wind does not enter your house or the roof will just give up at the first signs of trouble. Everything that you may need for the coming week has to be there with you. Fill up your supplies of food, medicines, fuels, and everything that you may need. Don’t stack up things you won’t need and only the necessary stuff should be there. Things like batteries, enough cash, flashlights, power banks, portable electrical equipment, and cables to help you through the hurricane. Fill up the gas in your car and generators and any portable cooking equipment you may plan on taking with you. The food has to be non-perishable and should be nutritious and healthy to provide all the needed nutrients for the body. Keep a can-opener with you and don’t over depend on frozen foods which will go bad if anything happens to the freezer. Make sure you have all the important documents with you or in a place you are sure they will be safe. Keep a copy of them handy with you at all times along with your ID cards. Documents need to be carefully protected for they are the only proof of your identity, insurance and all other important things. Keep your pc backed up in an external hard drive or on cloud servers to help you retrieve them whenever you want to. Keep eyes and ears open for any and all govt. broadcasts and to be informed about the current status of the storm and how it affects you and your loved ones. Govt. is there to help and whenever in doubt it is safe to approach the officials for any kind of help you may need. Undertake all these steps and stay safe and healthy for the duration of the storm. We wish you a good health and that you and all your family members are safe and sound. For all Carolinians, Easymove helps with Moving and Delivery.